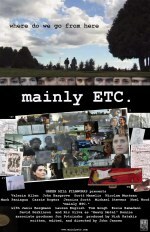 Film enthusiast Stanley Coenberg interviews director John Jansen about "mainly ETC." SC: What were the origins of "mainly ETC." JJ: The project came to life during the weekend of April 8, 1994. 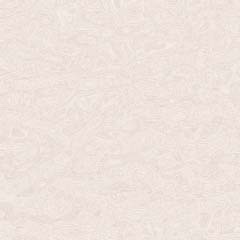 I was writing a screenplay titled "modern knife" when I learned of the Cobain news. Now I wasn't necessarily the biggest Nirvana fan in the world, but the news of Cobain's suicide struck me in many curious ways. I was 25 and only two years younger and his music seemed made from the same record collection as my own--same sort of influences. He was a struggling artist who climbed all the way to the top of the ladder--then felt the need to jump off--and this got me thinking on how the news of his suicide would affect other people and what would they do as a response. Although I never traveled to Seattle to attend his vigil, I thought about it, and thus put the trip onto paper instead. The first thirty pages of the story and a basic outline were worked out over the weekend, and then set aside while I finished "modern knife". The first draft script was finished in 1996 and I spent two years listening to everybody questioning why it had to be Kurt Cobain and why it had to be a road trip and such. Basically development hell, with friends and script readers questioning my efforts. I continued to develop the characters and dialogue and planed on shooting it once "modern knife" was finished. Since "modern knife" would occupy my time for almost four years, "mainly ETC." waitied on the backburner until summer 1999, when a small window of opportunity opened to get the film made. I met with Nick Katakis, who liked the script and agreed to become a producer with me on the project. I assembled the cast very quickly and was shooting in August. So from August through October we made the film, rehearsing during the week and shooting on weekends. SC: How would you describe the film? JJ: During production, I jokingly refered to it as "Big Chill meets Fandango". But I always saw it as a film about music. About what it means to be a fan. To really care about listening to music and the artists. The dynamics of the characters were designed to represent several different ages and attitudes and each are affected by the news differently. Some are fans, others just curious listeners. In the back of my mind, it was a story about a group of friends who are about to break up--but they just don't know it yet. In another year, they will be off in their own new lives and will remember this weekend as the last hurrah. But the short version of the description would definately be: discovering your soul. Which is the continuation of discovering your self, which is what "modern knife" is about. SC: Did you really travel to Seattle? JJ: Yes we did and what hell it was. Actually, with distance from the experience, I now have fond memories of it, but during the shoot it was mostly no sleep and rush, rush, rush to get the shots. I made the mistake of scheduling only three days to shoot the second half of the film--and originally I conceived as doing it as a live documentary, where we would shoot the film as scripted as we went along. Well as anyone who has ever made a film before can tell you, it didn't pan out that easy. In fact, when we finally hit the road at 2:00 p.m. on Friday afternoon, we were on the road for two miles before I was pulled over by a cop and ticketed for not wearing my seatbelt--while hanging out of a car with a camera getting shots of the RV on the road. This was the beginning of a very long weekend--but somehow we made it home and a few weeks later picked up some shots we missed. SC: How did you get the shots of the Cobain vigil for the film? JJ: In fall 1991 I moved to California and in November Bill Graham died in a helicopter crash. A vigil was held in Golden Gate park and I attended with my video camera, collecting and gathering shots of the experience. Journey played. CSNY played. Even Jefferson Airplane got on stage for a few tunes. Anyway, I hadn't looked at the footage in about eight years until I was preparing the Cobain vigil scene, and when I combined the footage shot in Seattle with the Bill Graham stuff, it seemed to give the impression of thousands of people at some kind of gathering. I would have loved to use actual footage from the real deal, but did not have access to it. When we arrived in Seattle on Saturday at about 5:00 p.m., we had a little over an hour of sunlight left to do the vigil scene. Needless to say it was a rushed affair and I was concerned that we wouldn't be able to "fake it" properly, but the Bill Graham footage seemed to fit the bill just fine. SC: How did you cast the film? JJ: Many of the Players are veterans of "modern knife", including David Perkinson, Essie Hamadani, Ric Silva, John Hargrove, Nicolae Muntean, Mark Paniagua and Valerie Allen. Back in 1997 I had a draft of the script and was still making the film in my head while still laboring on "modern knife". I met Jessica Scott at a local video store called Videoscope in Mountain View (which has the finest LaserDisc and DVD library in the Bay Area) where she was working. I knew right then she was perfect for Holly, but it would be two years later before I contacted her about the part. Turns out she was two days away from going back to school on the east coast. But she read the part and accepted, to my relief. John Hargrove had participated in multiple productions since our high school years and it was natural he would be cast in this film. Both Valerie Allen and Nicolae Muntean came from the Foothill Conservatory program at Foothill College. I attended a show Valerie was in and saw Noel Wood perform, after which I quickly sent him a script and got him involved. Scott Manelis was new to me when he showed up at the auditions, but he instantly impressed me and joined our cast. Michael Stevens I knew from high school and since he had recently re-located to the Bay Area, I approached him about returning to his "acting roots" for this project. Carrie Rogers is another Foothill alumni who showed up to play an extra in "modern knife". Although she had no lines, she provided me with many interesting behavioral bits to work with. When the casting of "ETC." was taking place, I tracked her down in Los Angeles and sent her a script, in which she drove up to the Bay Area to audition for and later relocated here to make the movie. SC: What was the rehearsal process? JJ: We only had about a month to really rehearse before the full blown shooting began. We met twice a week and spent considerable time talking about the characters, listening and talking about music, creating backgrounds and basically layering as many thoughts and ideas into the film as possible. Many of these ideas appear on the screen and many don't, but the process of getting them there was crucial for me. Part of the advantage of working with several actors is that you have a chance to deal with various styles of acting and your approach to each individual is often very different. Since many came from the stage and had never done a film before, it was helpful to learn from each actor what atmosphere worked best for them. Some are great on the first few takes, never to be equaled. Others need time to warm up and through multiple takes are able to comfortably sink into the character and scene, where they are no longer thinking about dialogue or blocking, but actually thinking in character. In these cases, it was often the high number takes that produced the most interesting results. But by working with each as individuals and again as a group, I was able to learn and process several acting methods and apply that for future use. SC: Did you shoot a high number of takes? JJ: In some scenes, sure. The advantage of shooting on Digital Video compared to film liberated me from worrying about how much I was shooting. On "modern knife", three minutes would cost me about $40, where on "mainly ETC." one hour was about $15. So I happily shot over fifty hours for the film, which was later edited down to the current length of 2hrs and 17 minutes. But I did leave PLENTY on the cutting room floor that I hope to add as supplements for a future DVD. SC: Do you prefer video to film? JJ: I enjoy both for different reasons. Given the choice and budget, I would shoot on film, which has an unequaled feel. But video provides instant results, and given the choice to think about making a film on film or actually making a film on video, I will choose to make the film everytime, regardless of the medium it is shot on. At the end of the day, I feel audiences are so accustomed to all sorts of film and video stocks and styles, that after five minutes, they are just wrapped up in the story and characters and most could probably care less about what lenses you used or what kind of lighting was involved. Having great sound is far more important. SC: There is a wall-to-wall soundtrack of music in the film. How was it chosen? JJ: Well for each screenplay I write that I intend to direct, I make a tape of music to listen to that continually reminds me of the sound and feel of what I want. On the "mainly ETC." tape, many of the same songs on the tape appear in the film just the way I wanted, including "Funeral For a Friend," "Stardog Champion" and Tori Amos' version of "Smells Like Teen Spirit." I've always been a fan of Jellyfish and knew I wanted to use them in this film. I felt Temple of the Dog HAD to be in there. Ideally I wanted to create a sort of spinning radio dial that would fuse music from the 60's, 70's, 80's and 90's into one sonic-wave. SC: Are you inspired by any independent filmmakers out there today? JJ: I'm inspired by ANY filmmaker who can actually finish a film. Knowing the toll it can take on your professional and personal life, regardless of the content of the film, I already like it and have a deep respect for the filmmaker just for getting it done. I'm influenced by all kinds of films, even the ones I don't like. Sometimes going to the cinema and seeing a really bad movie is just the shot of inspiration I need to get on the typewriter or continue shooting. SC: Why make films? It seems easier to just be a writer. JJ: A very good question. Writing is easier, but then you must let it go and be made by someone else. And for some scripts, this is great, and I have written several that I have no interest in directing, but would love to watch as an audience member. Since I already have a vast interest in writing, music, acting and photography--film making seemed like the natural evolution to express all these at once. Then you add editing to the mix--which is unique to film making--and you are painting on a larger and more interesting canvas. For some scripts, it just seems easier to make it myself and show the final product rather spend time explaining what I want to others, thus the reason I choose to write, direct, photograph, edit and pick the music for my own films. I work pretty fast, so this process doesn't present any real problems, except for the fact I'm often exhausted before, during and after production. But just when I swear off making another film, I get into the editing room and start playing around, then I can't wait to make another one. It is a strange obsession to be sure, but when it is all finally finished, there are few joys that equal the feeling. SC: What is the future for "mainly ETC."? JJ: I always said from the beginning that I feel like a garage band and this is my demo. Whether or not it plays beyond that, I cannot say for sure. But hopefully "ETC." can be looked upon as a promising "practice version" that may yield future work for myself and the cast involved. We did talk about re-uniting the cast in five years and pick up where the characters would be in 1999. Maybe visiting them every five years a continuous film could be made that would keep me and the cast busy for the next thirty years. At least I know we could shoot it on video and make it ourselves. Plenty of practice in that arena already.